Our current issue reflects on issues and aspects of tradition. Transylvanian playwright Csaba Székely (1981) is the author of a drama trilogy about a small village high up in the mountains, an isolated community stricken by the current crisis; Székely’s plays mix humour with tragedy in an inventive way. 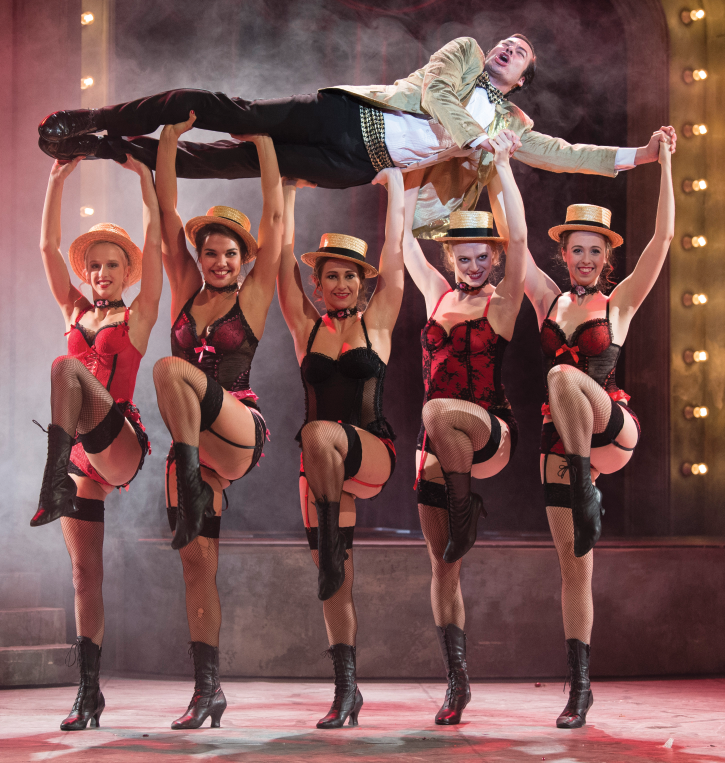 The first part of the trilogy, Mine Flowers was given the Critics Awards; the performance staged in Marosvásárhely received the Best Performance Award of the National Theatre Festival in 2012. Similarly to Mine Flowers, the second piece of the trilogy (Mine Blindness) was staged in Marosvásárhely (director: Aba Sebestyén) and Budapest (director: Tibor Csizmadia) at the same time. 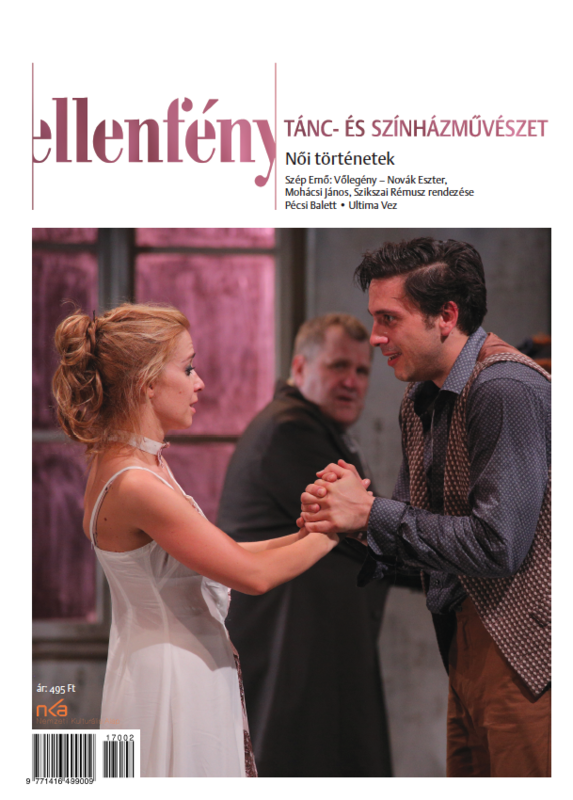 The final piece of the trilogy, Mine Waters won the drama competition of the Örkény Theatre; it is planned to be staged in the next season. Mónika Szűcs gives an interpretation of the three pieces, followed by an interview with the author by István Sándor L.
Happy Images, the new piece by Rita Bartal Kiss, staged in the Vojtina Puppet Theatre in Debrecen is based on photos of a traditional Hungarian village. The director, an outstanding artist of the Hungarian puppet theatre scene, is known to be attracted to strong images and visual interpretation. Mónika Szűcs made an interview with the director; the performance is reviewed by Judit Sinka. Folklore traditions, again, were the starting point for the Duna Ensemble, even though they chose to stage their pieces with a contemporary attitude. „Our pieces are based on thorough folklore knowledge, but at the same time, we tried to be up-to-date and contemporary, creating an active link to current times” – explains artistic director Zsolt Juhász. 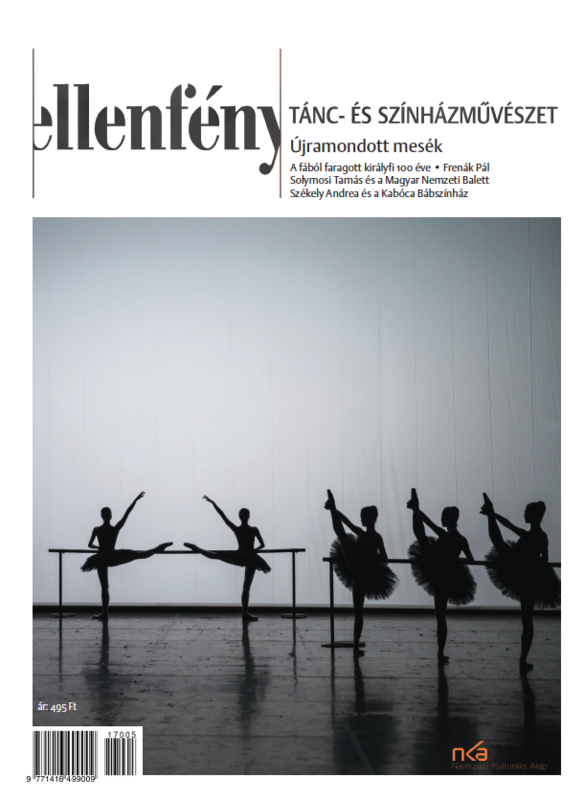 The pieces performed for the Ensemble’s 55th anniversary are reviewed by Vera Vazsó, completed by an interview with Zsolt Juhász by Felícia András. In our critical column, we review Dawn Moon, a folklore theatre piece with contemporary attitude from the Hungarian State Folk Ensemble; we also review the Beckett-based movement theatre piece Ruins True Refuge from Kolozsvár-based director Gábor Tompa and we offer a review on choreographer Vlad’ka Mala’s new piece Levitation. We review the guest performance of the Cullberg Ballet (The Strindberg Project) and Forsythe Company’s Sider.